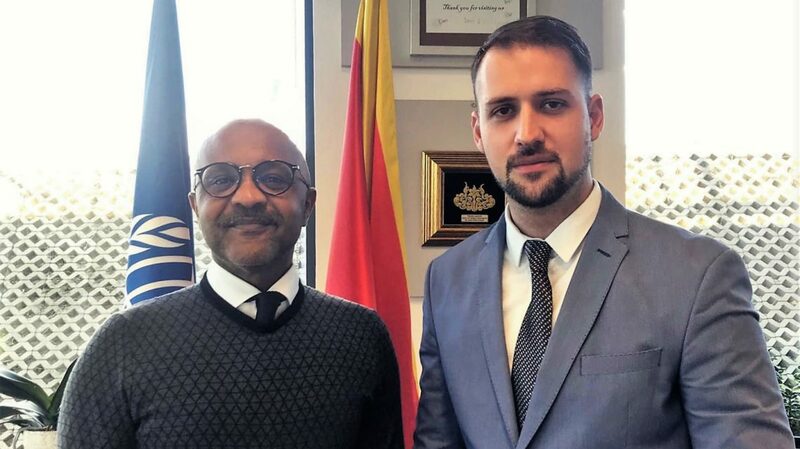 PODGORICA – Upon the invitation of the UNICEF Office in Montenegro, RYCO Local Branch Officer in Montenegro Mr Edin Koljenović met with the UNICEF Representative in Montenegro Mr Osama Makkawi Khogali and Deputy Representative Mrs Michael Bauer. Mr Khogali pointed out that the overall initiative and Mission of RYCO is seen as very important for the Western Balkans and crucial for establishing not only peace and stability, but also intensive cooperation at all levels. He also presented the initiatives implemented by UNICEF in Montenegro, but also those that have a regional character. UNICEF Representative in Montenegro pointed out that he sees the RYCO Local Branch Office in Montenegro as an important partner who should bring together all stakeholders who work for the benefit of children and young people in the region. Mr Koljenović said that RYCO has achieved concrete results in the first year of its work but that there are big challenges in the upcoming period. He especially emphasized that meeting the objectives of the adopted RYCO Strategic Plan implies building partnerships with institutions and organizations that share the same vision of the future of the Western Balkans region. During the meeting, several key directions of cooperation were identified which relate to local but also regional initiatives that UNICEF and RYCO can implement in partnership. Recognizing the challenges in strengthening of the administrative capacities of RYCO, Mr Khogali offered the support and assistance of the UNICEF Office in Montenegro, especially for the next year, when a number of activities were planned to be implemented. He concluded that empowered RYCO Local Branch Office in Montenegro, with adequate administrative capacities, is important in order to deliver concrete results that can serve to the best interests of children and young people in Montenegro and the region.